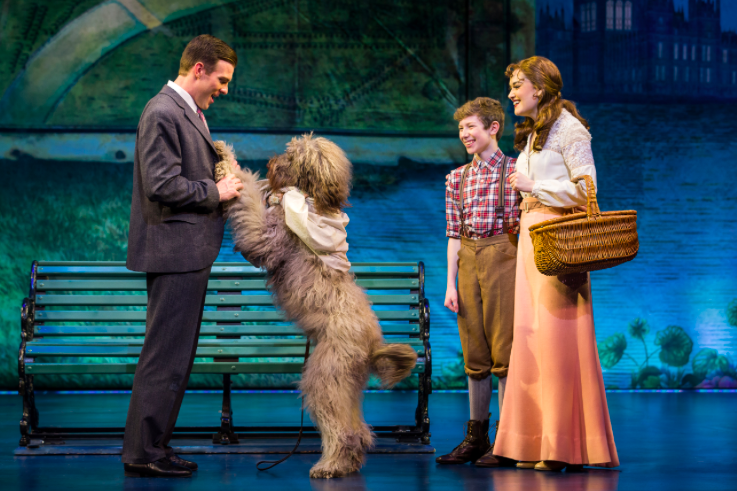 As an Arsht Insider, I had the chance to check out Finding Neverland performing at the Adrienne Arsht Center (running now through December 31st). My son is obsessed with Peter Pan, so naturally every time he saw the commercial for Finding Neverland he kept telling me he wanted to go. I was so excited to finally take him this week. The play tells the story behind the making of Peter Pan and chronicles the struggles of Playwright J.M. Barrie to find inspiration for a play. That is until he meets four young brothers and their widowed mother (as a widow myself, I instantly connected to her character). He is mesmerized by the boys' enchanting make-believe adventures that he sets out to write a play that will astound London theatergoers. The magic of Barrie's classic tale springs spectacularly to life in this heartwarming theatrical event, with a twist at the end. Overall, I enjoyed it so much and so did Andy. Hope you're enjoying the holidays! We will be taking a break for the holidays and will be back on January 10th, hopefully brining you new and exciting content!